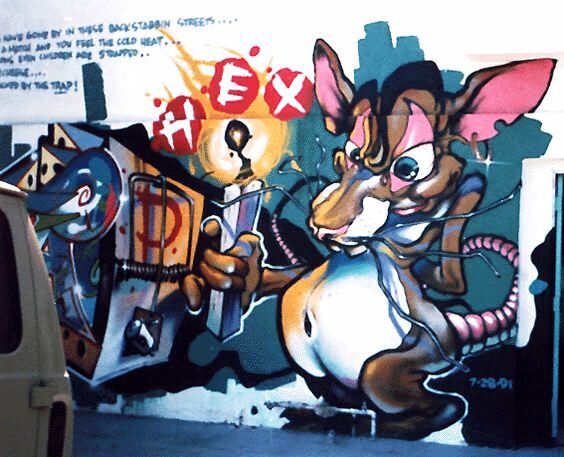 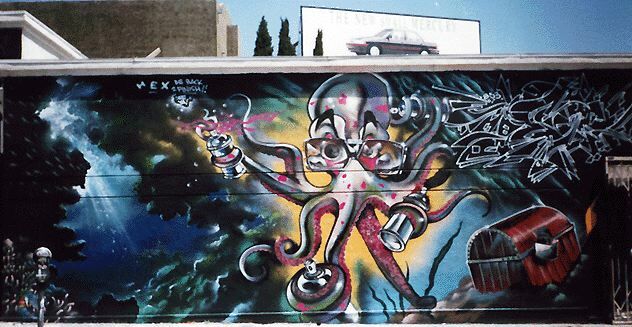 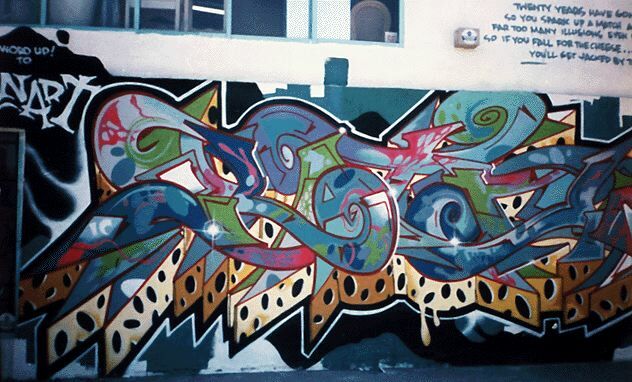 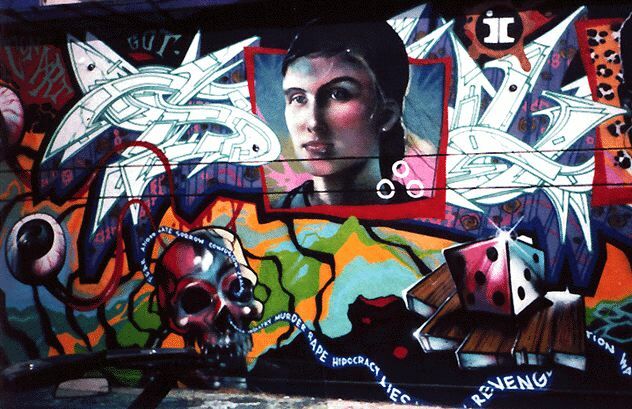 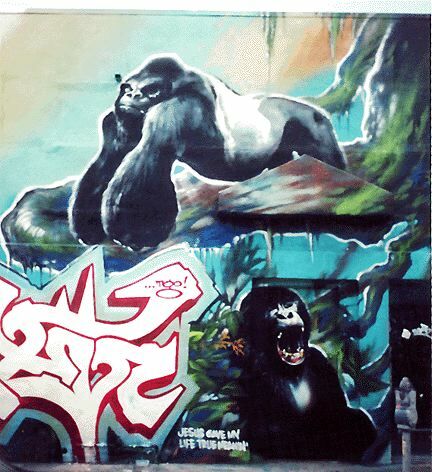 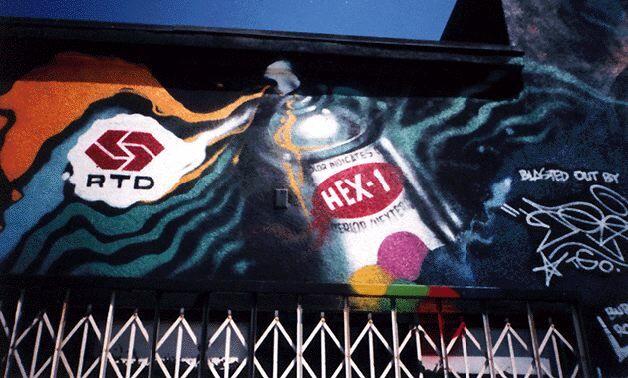 One of the many storefront pieces on the HHS during its existence, by Hex"TGO, owner. 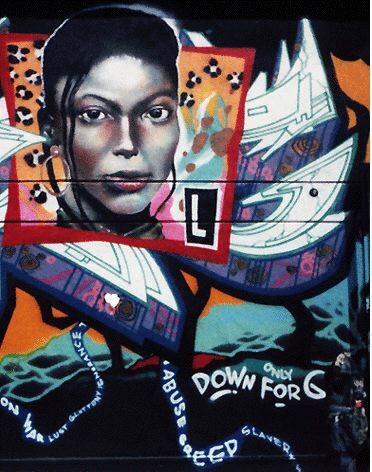 Far too many illusions even children are strapped..
You'll get jacked by the trap! 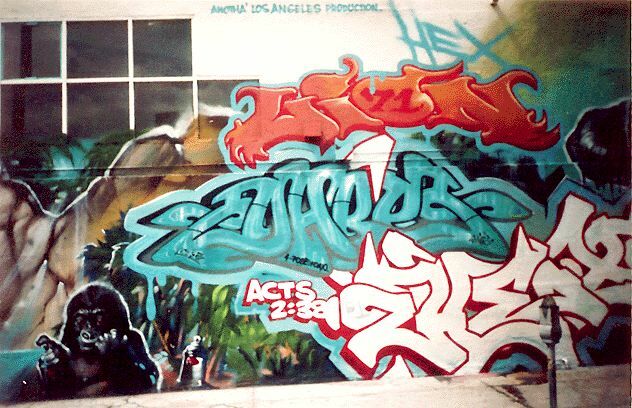 -- 7-28-91"